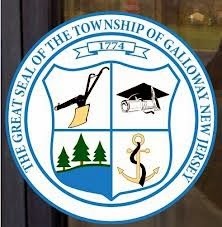 Galloway Township Council will begin the New Year selecting the Township's Professional staff. On Wednesday, December 18, 2013 Galloway Township Clerk accepted Request for Proposals for Professional Service for 2014. The public opening, as advertised was for 11:30 a.m. on December 18th. When Galloway Township News appeared for the public opening right before 11:30 a.m., we were initially denied access to the public opening by Township Manager Arch Liston. Galloway Township News Publisher stated to Liston the advertisement stated it was a Public opening at 11:30 a.m. and that we had already spoken to Township Clerk TC Kay two days prior to verify the public opening and our attendance. Liston replied, "I don't care what TC said." We were told TC Kay was off then we were instructed to come back an hour later after he opened and sorted through the proposals. Since we were denied access, we left with the intention of returning according to Liston's request. The denial of access to the Public opening could have been a violation of the Local Public Contracts Law. The opening of the RFP's could potentially be challenged by any of the professionals who submitted the proposals. A short time later on December 18th, we were contacted by Township Clerk TC Kay inviting us back to the Township Manager's office in order to view the public opening of the RFP's as advertised. When we arrived shortly before 1:00 p.m., part of the RFP's had already been opened. Kay, who was on vacation yet came into work to complete the opening, went through the RFP's already opened and then proceeded with the public opening of the rest of the proposals. Galloway Township News has provided the list of professionals who submitted proposals for 2014. Council will select their professionals from the submission listed below. Galloway Township will hold their annual Re-Organization meeting on Thursday, January 2, 2013 at 6:30 p.m. located in Council Chambers at the Municipal Complex. New members of Council Frank Gargione, Timothy Meadows, Don Purdy and Robert Maldonaldo will be sworn in. Council will also select a Mayor and Deputy Mayor the same evening. if what is stated in this article is accurate, are any of these township employees ever held personally accountable for their obvious wrong doing, esp. if it could possibly warrant a lawsuit? Seems like a lot of these "hangers on" just say/do whatever they please regardless of rules or laws. Accountability needs to be held, even if it means termination for purposeful wrongdoing. Assuming the professionals who submitted proposals do not receive a contract file a lawsuit or complaint, the Township will only be required to re-advertise and select the professionals from the new proposals. Galloway won't admit mistakes therefore, leaving the professionals who didn't get the job to complain. Many will not since they hold contracts elsewhere. Thank goodness the village idiot Liston is - - hopefully - going to wreak havoc on AC. Good riddance!